Shanghai Tattoo – Established 2007 in Shanghai, China. Home of China’s “First Lady of Tattoo” MS. TING (Zhuo Dan Ting) comes to Folsom, California! 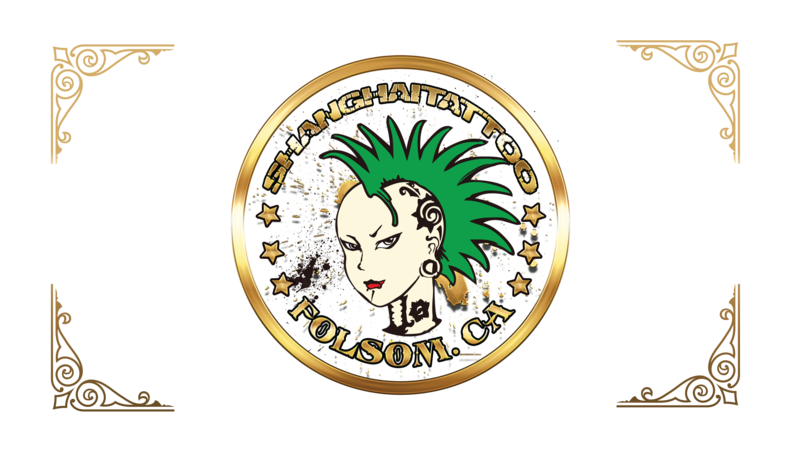 We are excited to announce that Shanghai Tattoo has expanded locations, making our second home in the Sacramento – Folsom, California area, offering the same high end tattoo art as our sister studio. Stay tuned as we build our team and move forward with Shanghai Tattoo Folsom 2018-2019. Specializing in large scale to smaller scale tattoos in styles of black and grey photo realism, color realism, Asian traditional, American Traditional, neo-traditional, Geometric, bio-mechanical, water-color, abstract, etc. Ting is a fantastic artist! I have had two half sleeves done by her and they are fantastic! Looking forward to getting more work done by her in the future! I highly recommend her to anyone looking to get work done. The studio is a very chill place and she is easy to talk to about tattoo ideas. Check it out!! Decided to get my lower sleeve done here after looking at the work that Ting does. It was the best decision. I initially got things moving with Josh Thompson who is awesome to work with for scheduling and dialing things in for the staff. Ting is extraordinarily professional and her artwork is amazing. She is worth every penny I paid to get it done. I even flew out from Portland, OR twice in order to have it completed in two sittings. The entire experience was very comfortable and I couldn’t be happier without the end result. I would rate them even higher if I could. Ting is one of the most amazing world-talents to come to Northern California. She is not simply a tattoo artist but an artist who does tattoos. The range of styles is limitless, whether you want old school or traditional Japanese or ultra-realism portraiture. The shop is immaculate, the artists are professional and friendly, the prices are fair, and the tattoos are world-class and will hold up for years. You'd be a fool to go anywhere else. Got my very first tatoon with Shanghi Tatoo....and from start to finish the experience was awesome! Both Ting and Joshua are both amazing, helpful, open, welcoming.....and Ting does amazing work!!! Friendly, efficient.....great quality and super clean and professional. I can't wait to plan my next one with you both!! Thanks Ting and Joshua!!! Shanghai Tatoo rocks!! Go to this shop for world-class tattooing! Ms Ting is a great designer and tattoo artist and you'll be very happy with the finished tattoo. I've had a number of large pieces done by Ms Ting and throughout the process she was helpful, professional, and the artwork is amazing. Thank you Shanghai Tattoo! I can recommend Ms. Ting shop to anybody who wants to have an awesome Tattoo done. Especially for big Tattoos like whole sleeves, she does great work!! !